Mike is a graphic designer and illustrator with fifteen years' freelance and corporate experience. He specialises in brochures, technical publications, web and book design. His original qualification was in Information Design, so he has a special affinity with anything that explains, such as maps, diagrams or presentations. He will also translate Photoshop layouts to HTML and CSS, and convert your old table-based web pages. Mike has a straightforward no-nonsense approach that clients find refreshing. He is happy to work in-house as temporary cover or for a special project. 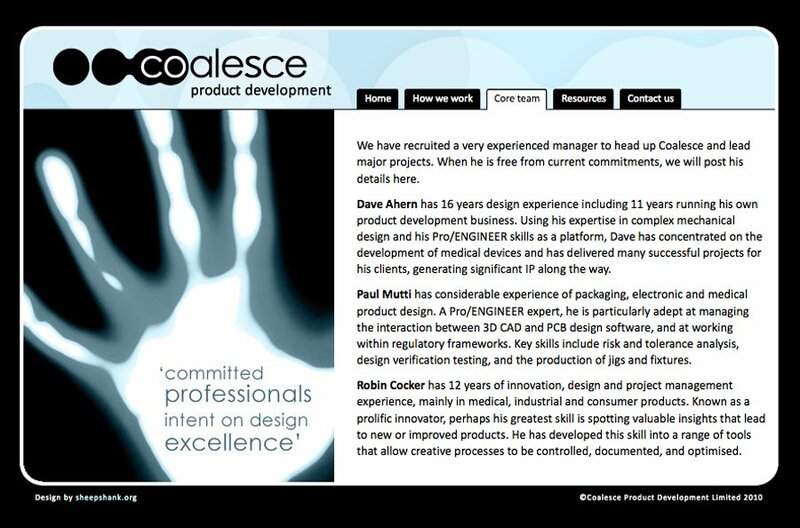 Latest web project, for Coalesce Product Development Ltd.